Jose Dalto: feared by oysters. 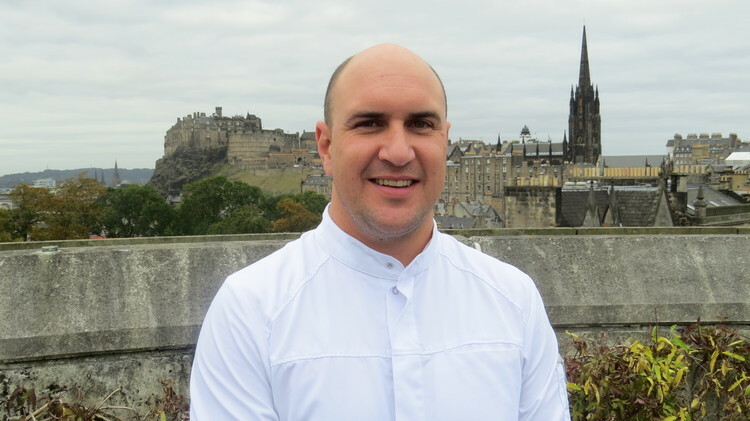 Today’s Chewin’ the Fat interviewee is Jose Dalto, Head Chef at Tower Restaurant in Edinburgh. Originally from Brazil, Jose took a break his law degree with just two years to go and travelled to the UK to learn English. The intention was to spend a year learning the language and then return home to finish his degree and help with the family business. That was in 2003. That plan may not have turned out quite as smoothly as anticipated. However, from his first job as a kitchen porter to his current role at Tower Restaurant, Jose’s culinary career has gone from strength to strength. We chatted to Jose about Scotland’s larder, loving the spud and the similarities between being a chef and making sofas. While we were at Tower Restaurant, Jose showed us how to make a fantastic dish of scallops with skordalia mash, crispy ham and bouillabaisse sauce. We ate the results of the demo and can highly recommend that you give the dish a spin. you can book Tower Restaurant here. The demo and recipe are here. 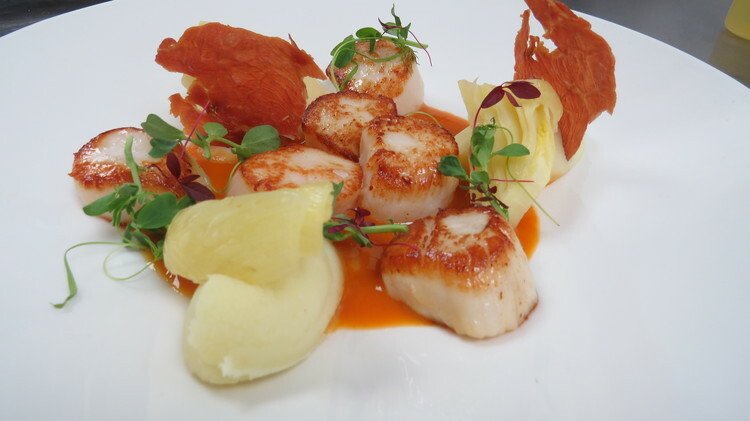 Hand-dived scallops with skordalia mash, crispy ham and bouillabaisse sauce. 5pm: Can you describe the style of food served at the restaurant? JD: We try to use Scottish produce as much as we can and cook the ingredients simply. 5pm: Is there a most popular dish for your customers? The hand-dived scallops dish is always very popular as is the lobster. We sell a lot of steak and are members of the Scotch Beef Club. 5pm: What got you into cooking to begin with? JD: When I arrived in Scotland in 2003, I hadn’t ever cooked anything. I got myself a job in a very small café as a kitchen porter and from the very first day I realised that’s all I wanted to do. I wanted to learn to cook and that’s what I spent my energy on. 5pm: Was moving continent a culinary culture shock? JD: Growing up, I was used to being able to eat mangoes from the trees. That was normal for me. I just fell in love with cooking here. I couldn’t speak a word of English when I arrived so the first thing I did was scrub the pots as a kitchen porter. Slowly, I started helping out in the kitchen in other ways. The more English I learned, the more I could do. A couple of chefs took a lot of time with me and passed on their knowledge. One day, a chef didn’t turn up and I was put on the starter section and that was that. It wasn’t a complete shock. The family business in Brazil was making sofas and there are similarities. In both jobs, you take all the component parts, the ingredients, and you develop them and build them into something useful or tasty. 5pm: Where were you first working in Scotland? JD: Mediterraneo Café on Broughton Street. 5pm: You have a magic wand. What would most improve Scotland’s restaurants? JD: That’s a difficult one, Scotland has a lot to offer. The quality of the ingredients found in Scotland are incredible. I would change the weather and have a longer and hotter summer, so restaurants could make the most of their outside space. 5pm: Is there any food you hated as a kid but love now? JD: I didn’t eat much seafood when I was a kid but now I love it. 5pm: What is your favourite ingredient to work with? JD: Potatoes, there are so many things you can do with them. 5pm: What do you like to eat on a night off? JD: I do like a kebab or a burger from time to time, but most days I try to eat healthily. 5pm: Is there anything you don’t like cooking with? JD: Not really, every ingredient has its own beauty. 5pm: What has been the most exotic thing you have eaten? 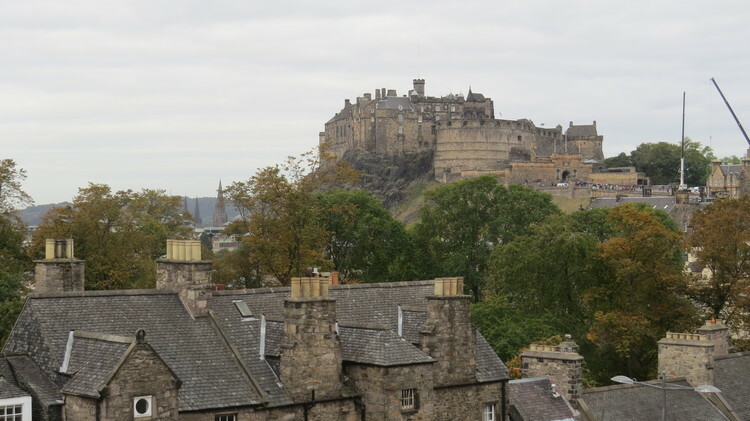 Edinburgh skyline from Tower Restaurant. 5pm: You can get anyone in the world to cook you a meal. Who will it be? JD: Alex Atala, he’s a great chef and very much focused on ingredients that you will not find anywhere apart from the Amazonian jungle. 5pm: Apart from your own establishment, where do you like to eat out? JD: I usually eat out with my wife and kids so anywhere that serves fresh food and has a good vibe will do. The kids are getting older so it’s getting easier to find somewhere nice to eat. 5pm: What is the best thing about being a chef? JD: It is to do what you love. It’s the challenges we encounter – every day is a different day. It’s discovering new flavours and building a good team around you that makes it all worth it. JD: I don’t know, cooking has only given me happiness but if I would say one thing, it would be the time you miss out with your family compared to a 9-5 job. 5pm: What’s been your worst kitchen disaster? It wasn’t a disaster but, a few years ago, during the festival, we had a table of nine people came in and they all ordered nine oysters each. I was the chef de partie on the larder section back then and was on my own. It was the festival so the restaurant was busy and, also because it was the festival, everybody wanted everything yesterday. Not easy when you have to open 81 oysters. 5pm: Who cooks at home? JD: My wife Claire does most of the cooking at home. As long as I don’t interfere. 5pm: You’re preparing a special meal for your partner. What’s cooking? JD: Probably a whole fish, something simple and fresh that won’t keep me in the kitchen too long. 5pm: What is in your fridge at home? JD: Lots of fruit and vegetables, there is never enough fruit in the house. The kids just love it. 5pm: What has been your most memorable meal? JD: I think it was on the day I became a father. My wife had to stay in hospital with my son overnight so, on my way home, I managed to grab a pizza and never felt so proud in my life. If you ask me the best meal I would say it was in Sydney, Australia. A lovely seafood platter I shared with my wife. 5pm: Tell us your daftest customer complaint? JD: The Hollandaise sauce wasn’t boiling hot. 5pm: Who would win in a fight. Heston Blumenthal or Gordon Ramsay? 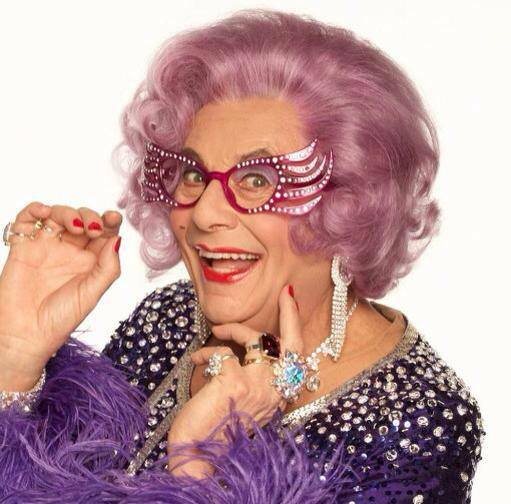 Dame Edna, AKA Barry Humphries, Joanna Lumley and JK Rowling have all dined at Tower Restaurant.